Flagpole W/Flag, Swim Platform Transom LIghting, Dinette Table-Teak W/Cpit & Sunpad Recept, LED Interior Accent Lighting, RGB, Umbrella W/Receiver. 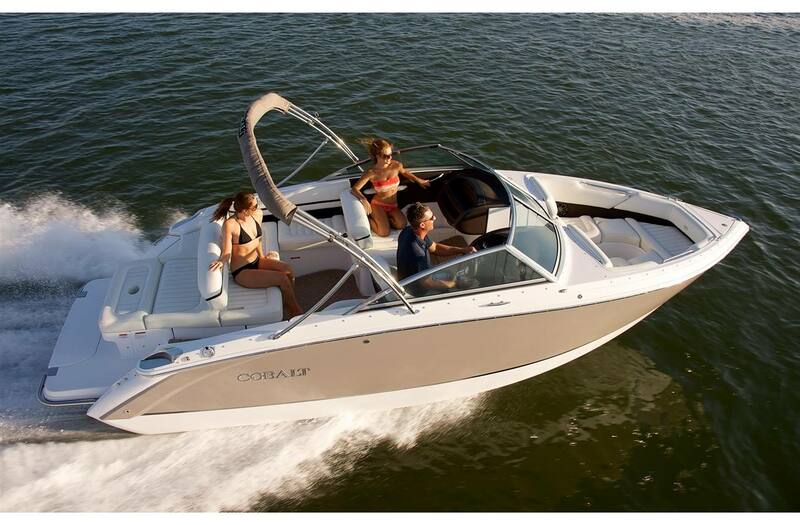 Crafted to stand out from a typical 23-footer, the Cobalt R3 has a sleeker, lower profile than other R Series boats, and it's complemented by a beautifully designed transom platform. Guided by our innovative Free Space Reclamation design, the cockpit has an interior beam measurement more than a foot wider than the competition. And with wrap-around, yacht-style seating exclusive to a boat this size, the R3 maximizes interior space while delivering an exterior look sure to turn heads.